At approximately 4:30 am Monday morning deputies responded to a semi vs residence crash in the 300 block of STH 21, Town of Richfield. 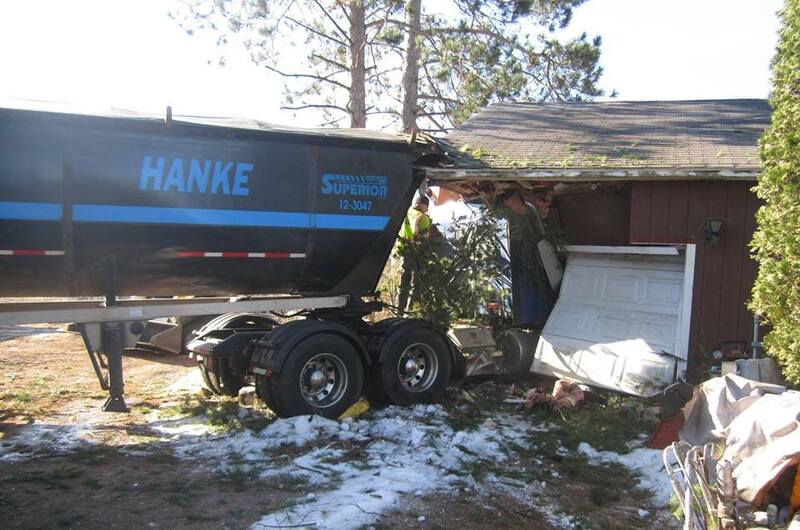 The initial investigation indicates an east bound semi left the roadway striking the garage portion of a residence. There were no injuries to the residents of the home or the driver of the semi. The Wisconsin State Patrol assisted at the scene. No other information is available at this time. The crash remains under investigation. This entry was posted by WRJC WebMaster on April 15, 2019 at 1:10 pm, and is filled under Local News. Follow any responses to this post through RSS 2.0. Both comments and pings are currently closed.